C. G. Maclennan, L. J. Lanzerotti, and R. E. Gold, Low Energy (0.5-8 MeV/nuc.) Anomalous Cosmic Ray Ions at High Heliolatitudes and in the Ecliptic Plane, Spring AGU Meeting, May 1999, Abstract SH32B-04. The HISCALE instrument on the Ulysses spacecraft measured low energy (~0.5-8 MeV/nucl) Anomalous Cosmic Ray (ACR) ions at high heliolatitudes during the years 1993-1997, as well as in the ecliptic plane at 5 AU in 1997-1998. The fluxes of ACR nitrogen, oxygen, and neon measured at northern heliolatitudes were a factor of about 2 larger than those measured at southern high heliolatitudes. Comparison of the ACR fluxes in the ecliptic at 5 AU in 1997-1998 with measurements made with a similar instrument (EPAM) on the ACE spacecraft at 1 AU shows that there is little evidence for 0.5-1.0 MeV/nucl ACR oxygen at 1 AU. At 5 AU in the ecliptic in 1997 and early 1998, the ACR O fluxes are at approximately the same level as those measured at high northern heliolatitudes. However, in July 1998, following an interval of enhanced solar activity, the 5 AU in-ecliptic ACR O fluxes disappear. Thus, in 1997-1998 the in-ecliptic radial gradient of low energy ACR O between 1 and 5 AU is quite large, but after about mid-1998 this gradient is no longer meaningful, as low energy ACR O fluxes can no longer be measured. C. G. Maclennan, L. J. Lanzerotti, R. B. Decker, R. E. Gold, S. E. Hawkins, and D. Haggerty, Charged Particle Composition in the Inner Heliosphere During the Rise to Maximum of Solar Cycle 23, Fall AGU Meeting, December 1999, Abstract SH42A-13. The beginning and rise to maximum of solar cycle 23 has the Ulysses spacecraft fortuitously placed at ~5 AU near the ecliptic plane and on a trajectory toward the southern heliosphere pole. The twin instruments, HISCALE on Ulysses and EPAM on the ACE spacecraft (at 1 AU), provide an opportunity at this time in the solar cycle to investigate the spatial distribution of charged, solar-produced particles in the near-ecliptic heliosphere inside 5 AU. We report here examinations and comparisons of the composition (Z > 2 ions) of heliosphere particles with energies ~0.5 - ~10 MeV/nucl during the years 1998 to present as measured at these two locations. Two of the larger solar-energetic particle events that were observed during this interval occurred on about day 60 and day 180, 1999. Both of these events at Ulysses had time-intensity profiles of "classical'' particle events accompanied by traveling interplanetary shocks. Relatively high intensities of Z > 5 and Z > 10 ions were measured in both events. In addition to comparing the HISCALE and the EPAM heavy ion composition measurements, we will discuss the influence of shock accelerations on the heliosphere composition as the interplanetary shocks travel from near earth to 5 AU. These results will be compared with previous HISCALE studies that concluded that the most significant acceleration by CIR events occurred at 3 AU and at heliolatitudes of ~30 degrees. D. J. Thomson, L. J. Lanzerotti, and C. G. Maclennan, Linear Transport of Interplanetary Electrons Between ACE and Ulysses in the Heliosphere, Spring AGU Meeting, May 1999, Abstract SH42A-05. During late 1997 and early 1998 the ACE and Ulysses spacecraft were in approximate magnetic or radial alignment in the heliosphere. ACE was upstream from Earth in the ecliptic plane at 0.9 AU, and Ulysses was within 12 degrees of the ecliptic at 5.4 AU. Increasing solar activity and proximity to the heliospheric current sheet provided sufficient particle fluxes to investigate, statistically, the relationships between measurements made at these two separated sites. Time-series analysis of the measured low energy electron fluxes recorded by the similar instruments EPAM and HISCALE, on ACE and Ulysses, respectively, during this interval show that the power spectra estimated from data at the two spacecraft are quite similar. These spectra show strong modal structure, with many of the discrete lines reported by the authors in Nature, 376, 139-144 (1995) appearing at high significance levels in both spacecraft. (The modal lines in the Nature article were obtained when Ulysses was at mid-heliolatitudes in the southern heliosphere.) In addition to the similar features seen in the spectra, the time series are found to be quite coherent. For example, using similar energy electron channels on both spacecraft, half of the coherence estimates in the frequency range 0 - 140 μHz are found to be above the 80% significance level. Much theoretical work on the interplanetary medium is based on the hypothesis that nonlinear hydrodynamics generate turbulence, with the implied consequence that propagation of discrete frequency modes in the heliosphere is unlikely. We assume that the electron data is a sample of a nonstationary time series, so that structures at different frequencies would be correlated. Quadratic nonlinearities, such as could be expected from terms of the form u (nabla) u, are characterized by cross-terms that create sum and difference frequencies. Testing for the generation of such cross-terms between ACE and Ulysses give statistics compatible with linear propagation between the two spacecraft. Using this finding, an estimate of the linear transfer function between the two spacecraft shows that the bulk of the `flow' occurs with time delays between about 50 and 200 hours. D. J. Thomson, L. J. Lanzerotti, and C. G. Maclennan, Time Series Analysis of Interplanetary Magnetic Field Data and Implications for Discrete Oscillatory Modes in the Inner Heliosphere, Fall AGU Meeting, December 1999, Abstract SH21C-10. We have previously reported that multitaper time series analysis of charged particle data from Ulysses and several other interplanetary spacecraft in the heliosphere beyond ~1 AU exhibit evidence for discrete, high Q, modes that have been attributed to solar acoustic and gravity mode oscillations (Nature, 1995). There have been challenges to these conclusions, often on the basis that the interplanetary medium can be characterized as random and chaotic. We report in this paper a statistical study of interplanetary magnetic field (IMF) data taken by the Ulysses spacecraft at several heliosphere locations during its first orbit of the sun. We find that (1) the spectra of the IMF data contain many peaks that are too large to be random fluctuations; (2) the fluctuations in the spectra are unlike those expected from random data; (3) filtering of the IMF data at the frequencies given in the Nature paper yield phases that are linear in time over more than a year, in the ecliptic plane and post Jupiter; (4) histograms of differences between frequencies that were estimated from IMF data over the south solar pole (Dennison and Walden, 1999) and those from the Nature paper (acquired predominantly near the ecliptic plane) have a null near zero; that is, there are fewer close matches than would be expected if the data were completely random, thus implying a systematic difference that is probably a result of real physical effects; (5) Echelle plots made from high resolution IMF data in charged particle propagation "channels" (Buttighofer, 1998) show ~135 μHz peak spacing, characteristic of solar p-modes (although the time duration of the channels is insufficient to allow identification of individual modes). M. E. Burton, E. J. Smith, D. J. McComas, and K. A. Anderson, Ulysses Observations of a Pair of Slow Mode Shocks Inside a Coronal Mass Ejection, Spring AGU Meeting, May 1998, 1998 Spring Meeting Supplement to EOS, S287, 1998, Abstract SH51E-05. From February 3-5, 1995, as Ulysses was approaching the ecliptic at 24° S latitude, it was intercepted by the first CME that had been seen in many months. The CME was not of the "over-expansion" type seen previously at high latitudes and was accompanied by energetic ions and electrons. The magnetic field and plasma measurements revealed a signature within the CME similar to that first seen in the Earth's distant magnetotail by ISEE-3. The latter signature has been identified as a pair of slow mode shocks bounding a region (plasma sheet) containing reconnected field lines. Analysis of the Ulysses data has confirmed that a pair of slow mode shocks are present at the boundaries of this structure. In addition, a current sheet, across which the field reverses direction, has been found to lie between the shocks. The existence of this complex structure suggests magnetic reconnection within a CME at an x-type neutral point, evidence of which has proved elusive in the past. R. E. Gold, L. J. Lanzerotti, C. G. Maclennan, and S. E. Hawkins III, Measurements of the November 1997 Solar Particle Event at 1 and 5 AU, Spring AGU Meeting, May 1998, 1998 Spring Meeting Supplement to EOS, S256, 1998, Abstract SH21D-09. The question of how solar energetic particle events populate the heliosphere can be studied by examining the temporal and spatial distributions of the ion species at multiple locations. The EPAM instrument on ACE at 1 AU and the HISCALE instrument on Ulysses (presently in the ecliptic at ~ 5 AU) are identical experiments that measure low energy electron and ion fluxes in the heliosphere. Comparisons of the time profiles of electrons and ions in this large event at the two heliosphere locations will be given. It is found that for particles with energies 0.5 - 1.0 MeV/nucl, near the peak of the November 1997 solar particle event at each location when the two spacecraft were separated in heliolongitude by ~ 90 °, JULS/JACE (p) ~ JULS/JACE (He) ~ 10-3; JULS/JACE (CNO) ~ 1.5 x 10-3. At both locations it is found that J(CNO)/J(Fe group) ~ 1. Additional details of the measurements made during this large solar event will be presented. C. G. Maclennan and L. J. Lanzerotti, Low Energy Anomalous Ion Components at Northern Heliolatitudes, Spring AGU Meeting, May 1998, 1998 Spring Meeting Supplement to EOS, S281, 1998, Abstract SH42C-11. The traversal of the Ulysses spacecraft through the northern heliolatitudes, from a distance of ~ 1.35 AU near the ecliptic to the return to the ecliptic at ~ 5.4 AU, was largely devoid of solar particle events and co-rotating interaction regions. Thus, the low energy (~ 0.5-5 MeV/nucl) anomalous components of the heliospheric particle fluxes could be more easily separated from other heliosphere processes than during the southern heliolatitude passage of the mission. Using measurements from the Wart telescope in the HISCALE instrument on Ulysses we find that the anomalous oxygen fluxes have essentially a flat spectrum over this energy range and are ~ 3-4 x 10-8/(cm2 s ster keV nucl-1). The spectra for the N and Ne fluxes are also flat and, in this energy range, J(N)/J(O) ~ 0.2; J(Ne)/J(O) ~ 0.1. The fluxes of anomalous O in the northern heliolatitudes are a factor of ~ 2 larger than those measured in the southern heliolatitudes. Finally, in both heliohemispheres, the carbon spectra in this energy range have an energy/nucleon (E) dependence of ~E-2. C. G. Maclennan, L. J. Lanzerotti, R. E. Gold, and T. P. Armstrong, Low Energy Particles Near the Ecliptic at ~5 AU at the Onset of Solar Activity Cycle 23, Fall AGU Meeting, Dec. 1998, Abstract SH41B-18. The near-ecliptic, ~5 AU, location of the Ulysses spacecraft at the beginning of the 23rd solar cycle provides an opportunity to observe the beginnings of the effects of the cycle in the distant heliosphere and to compare these with observations made near Earth. We present here low energy (electrons and ions > 50 keV) particle data from the Ulysses HISCALE and the ACE EPAM instruments during the interval ranging from late 1997 to the present. We compare especially the ion composition at these two locations in the heliosphere for several solar particle events during this time interval. The onset of solar activity also contributes to a decrease in the low energy anomalous cosmic ray (ACR) ions in the heliosphere. We have previously shown that the ACR oxygen fluxes were measured by HISCALE to be about a factor of two larger in the northern heliosphere than in the southern. Also presented here are the changes that are being measured in the ACR fluxes at ~5 AU as solar activity begins to increase. E. C. Roelof, R. E. Gold, D. K. Haggerty, S. E. Hawkins III, and G. M. Simnett, Conditions for Energetic Particle Propagation in the Inner Heliosphere During the November 1997 Solar Events: ACE/EPAM and Ulysses/HISCALE Observations, Spring AGU Meeting, May 1998, 1998 Spring Meeting Supplement to EOS, S256, 1998, Abstract SH21D-10. The EPAM energetic ion/electron experiment on ACE [Krimigis et al., this conference] is essentially identical to the HISCALE instrument on Ulysses. As ACE was launched, Ulysses was near its aphelion and moving southward towards its heliographic equator crossing in mid-December 1997. The rise in activity of Solar Cycle 23 produced a major series of solar particle events, beginning with a small electron event on 3 November 1997 (day 307) at ACE and lasting throughout the rest of the month at both spacecraft [Gold et al., this con-ference]. In this paper we examine the state of the equatorial heliosphere during several solar rotations prior to the November event. There were 26-day recurrent energetic ion events identifiable at Ulysses, in a series leading up to the November solar events. They peaked on days 216, 244, 271, and 296. These small ion events at Ulysses did not have unambiguous counterparts at ACE, even though ACE and Ulysses were nearly on the same spiral field line in mid-October for a solar wind velocity of 450 km/s. Also, they were not the only ion events observed near 5 AU. For example, there was a CME-associated energetic particle event on days 242-243 (just preceding the recurrent event beginning on day 244) whose time profile is similar to the CME event reported by Armstrong et al. [Geophys. Res. Lett., 21, 1747, 1994]. Nonetheless, the existence of a series of recurrent ion events at Ulysses implies a somewhat stable IMF in the inner heliosphere just prior to the November solar events. We therefore conclude that those energetic particles were injected into a relatively ordered global magnetic field with correspondingly uncomplicated propagation conditions. Consequently, the timing of the November 1997 events, right at the rise of solar activity, offers the possibility of a much more straight-forward interpretation of their evolution than would be the case at solar maximum. E. T. Sarris, G. Kasotakis, L. J. Lanzerotti, and S. M. Krimigis, ULYSSES/HISCALE Observations of High Beta Conditions in the Interplanetary Medium, Spring AGU Meeting, May 1998, 1998 Spring Meeting Supplement to EOS, S292, 1998, Abstract SH52B-11. We present detailed observations of energetic (50 keV to 5 MeV) ion intensities measured by the Ulysses/HI-SCALE instrument during certain distinct periods when the energy density contained in the suprathermal tail of the interplanetary particle distribution is comparable to, and occasionally exceeds, that of the magnetic field, thus creating conditions of an unusual high-beta plasma. These high-beta events appear to be associated with regions of intense shock acceleration or the presence of magnetic field depressions (magnetic holes). The existence of high-beta plasma regimes produced by suprathermal particles in the interplanetary medium have profound implications for the propagation of these particles throughout the heliosphere. In such regions, the usual theoretical assumptions of particle confinement and scattering by the local interplanetary magnetic field are violated. For example, the particles can freely `traverse' the local fields. D. J. Thomson, L. J. Lanzerotti, C. G. Maclennan, H. Kunow, B. Heber, and R. E. Gold, Long-Period (>1 Day) Modes in Interplanetary Particle Fluxes and Relations to Solar Processes, Fall AGU Meeting, Dec. 1998, Abstract SH41B-17. Time series studies of interplanetary particle fluxes measured on the Ulysses spacecraft in and out of the ecliptic plane show numerous long-period (periods > 1 day) discrete modes, providing evidence that the interplanetary medium is not a completely chaotic system. The frequencies determined to be most significant by sensitive statistical tests do not all correspond to harmonics of the solar rotation (those most evident in interplanetary particle and plasma data as quasi-26 day enhancements produced by co-rotating interaction regions). We present analysis of low energy (E > 50 keV) electron and ion, and high energy (E > 100 MeV) proton, data obtained by the Ulysses HISCALE and KET instruments. A period of about 2.2 days is especially prominent when a highly sensitive test of coherence and phase of the time series of these particles (with vastly different rigidities) is performed. The phase difference between the variations of the low energy and high energy particle fluxes at this period is found to be ~90 deg. These results provide independent evidence of solar phenomena (in addition to, for example, the motions of coronal hole boundaries and interplanetary CIRs) modulating cosmic rays in the heliosphere. We have previously suggested that periodicities such as this could be evidence of fundamental solar oscillations. We also present evidence of the presence of similar periodicities in time series of other solar, and solar-influenced, data. K. A. Anderson, R. P. Lin, J. T. Gosling, E. J. Smith, T. P. Armstrong, and E. C. Roelof, An Unusual, CME-Related Energetic Particle Event, Fall AGU Meeting, December 1997, 1997 Fall Meeting Supplement to EOS, F540, 1997, Abstract SH22A-03. On 4 February 1995 an unusual energetic particle event occurred near the center of a CME structure. 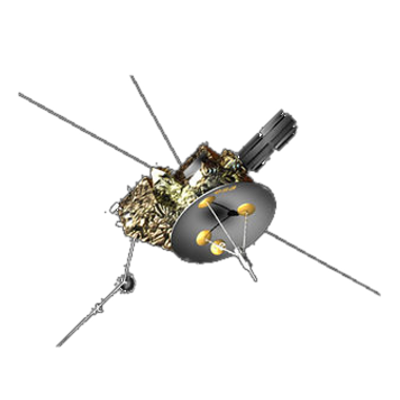 At this time the Ulysses spacecraft was located about 1.4 AU from the Sun. The energetic particles are contained in a complex plasma and magnetic field region that required about 13 hours to sweep past the spacecraft. Many changes in the energetic particle intensities are related to features of the CME such as the helium to hydrogen ratio, the solar wind plasma density, and magnetic field variations. We believe that the energetic electrons are not CIR-accelerated and it is unlikely they have been accelerated by shock waves in the interplanetary medium. There is some evidence that both the electron and ion components were accelerated near the Sun, but associated solar activity (flares, X-ray bursts) has not been found. The electrons exhibit a loss cone implying a mirror field of about 25 nT. Such a strong field means that the electrons, after passing the spacecraft at 1.4 AU distance from the Sun, must have moved toward the Sun to approximately heliocentric distance of 0.7 AU. The ions have not mirrored. They move at a speed of ~ 1/25 that of the electrons and evidently have not had sufficient time to reach the mirror field. Recently Smith et al. (see preceding abstract) have found what they believe to be a pair of slow mode shocks and a current sheet during this particle event. The times of the shocks correspond to changes in the fast electron fluxes. In particular the electron flux drops markedly at the time of the outbound shock. A. Buttighoffer, R. P. Lin, K. A. Anderson, and M. Pick, Stereoscopic Observations of Solar Particle Events Observed by Ulysses and WIND, Spring AGU Meeting, May 1997, 1997 Spring Meeting Supplement to EOS, S260, 1997, Abstract SH51C-01. The mechanisms involved in coronal energetic particle injection to the interplanetary medium (IPM) are not fully understood. Many questions remain about how particles are accelerated or what is the role of coronal mass ejection (CME) often observed during such solar events. In this paper, we present joint coronal and stereoscopic particle observations made during solar energetic particle events from 1995 to 1997. The stereoscopic particle observations are from the HISCALE instrument (30-300 keV electrons and 50 keV - 5 MeV ions) on the Ulysses spacecraft and the 3D Plasma and Energetic Particle instrument (~10 eV - ~1 MeV electrons and ~10 eV - 6 MeV ions) on the WIND spacecraft. The relative position of Ulysses and WIND spans an interval of some 80 deg. in latitude and ±180 deg. in longitude. The joint coronal observations used here were made mainly in X-rays and white light by the YOHKOH and SOHO satellites and in radio by the Nancay Radio Heliograph (NRH). The coronal observations at various wavelengths are used to study solar activity at different altitudes in the corona during flares. The characteristics of the particle events (intensity, energy, composition, pitch angle evolution, etc.) depend on both the characteristics of their injection in the corona and the particle propagation to the observer. The evolution of these characteristics with longitude and/or latitude to the injection site allow us to separate more easily propagation from injection effects. M. I. Desai, R. G. Marsden, T. R. Sanderson, G. M. Simnett, and R. J. Forsyth, Energy Spectra of 50 keV to 20 MeV Protons Accelerated at Corotating Interaction Regions in the Three-Dimensional Heliosphere, Fall AGU Meeting, December 1997, 1997 Fall Meeting Supplement to EOS, F550, 1997, Abstract SH41B-03. We present a detailed analysis of the differential energy spectra of 50 keV to 20 MeV protons accelerated at or near the forward and reverse shocks of corotating interaction regions (CIRs) detected by the Ulysses spacecraft throughout the three-dimensional heliosphere. The energy spectra are derived from simultaneous measurements obtained by two different particle instruments (namely, HISCALE and COSPIN/LET) in 11 discrete energy channels. In general, we find that the energy spectra at the CIR shocks are well represented by the Fermi model [Fisk and Lee, 1980] which includes both a power-law and an exponential dependence on the energy of the particle. We examine in detail the relationship between the spectral fit parameters and the plasma and magnetic field data and compare our results with theoretical predictions of the Fermi model. Specifically, we highlight the significant differences in these relationships for the forward and reverse shocks and discuss implications for the acceleration mechanisms that could be responsible for producing the observed differences. R. E. Gold, D. A. Lohr, D. K. Haggerty, S. M. Krimigis, T. P. Armstrong, and L. J. Lanzerotti, First Observations from the Electron, Proton, and Alpha Monitor (EPAM) on the ACE Spacecraft, Fall AGU Meeting, December 1997, 1997 Fall Meeting Supplement to EOS, F562, 1997, Abstract SH52C-06. The EPAM instrument on the Advanced Composition Explorer (ACE) measures the overall state of energetic particles between 50 keV and 5 MeV/nuc. With its full unit sphere coverage, atomic composition coverage from H to Fe, and dynamic range from low to very high flux levels, EPAM provides a monitor of the near-earth interplanetary low energy particle populations. EPAM is also one of four instruments in the Real Time Solar Wind (RTSW) data stream that will provide 24 hour coverage of space weather phenomena of importance to telecommunications, electrical power transmission, and other technologies at Earth. EPAM was constructed from the flight spare of the HISCALE instrument on Ulysses; therefore, it is an excellent basis for comparisons of energetic particle populations in other regions of the heliosphere. This initial report of measurements from EPAM provides comparisons of low energy electrons (E > 50 keV) and ions (E > 50 keV, including composition data (E > 0.5 MeV/nuc), in the ecliptic as ACE approaches L1 with measurements presently being acquired by HISCALE at about 5 A.U. and 10 deg. 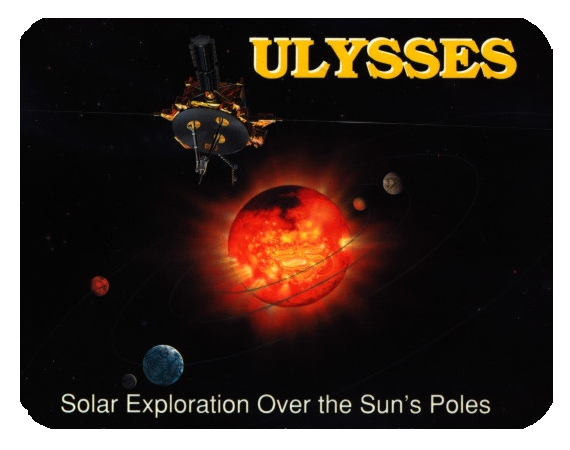 heliographic latitude as Ulysses completes its first solar polar orbit. D. K. Haggerty and T. P. Armstrong, HI-SCALE Observations of Jovian Interplanetary Events, Fall AGU Meeting, December 1997, 1997 Fall Meeting Supplement to EOS, F625, 1997, Abstract SM52C-08. The HISCALE experiment on board the Ulysses spacecraft measured upstream ion and electron events during the Jovian flyby in February 1992. From 1700 RJ upstream of Jupiter to 3750 RJ south of the ecliptic, HISCALE measured 193 distinct 61-77 keV interplanetary ion events of probable Jovian origin. Event averaged characteristics such as intensities, anisotropies, power law spectral exponents, averaged event durations, and magnetic field components were obtained. All ion observations above 2.92 particles/cm2 • str •sec • keV, within 1000 RJ, were found to be of probable Jovian origin. Evidence for field aligned, velocity dispersive, ion events was observed. Observations of rotations in ion pitch angle distributions during the event onsets and decays give a clear signature that a spatial structure was convected past the spacecraft. S. E. Hawkins III, A. F. Cheng, and L. J. Lanzerotti, Global Flows of Hot Plasma in Jupiter's Magnetosphere, Fall AGU Meeting, December 1997, Abstract P51A-11. We present a picture of the dominant flow patterns of hot plasma in the Jovian magnetosphere using data acquired by the HISCALE instrument on the Ulysses spacecraft, and compare with results from Galileo. Because of the unique trajectory of Ulysses, we observed flows of energetic particles in the duskside, high latitude region of the magnetosphere. The HISCALE instrument, with its nearly full 3-dimensional coverage of the angular distributions, high time resolution, broad energy range (~50 - 3000 keV/nuc), and composition measurements, is ideally suited to resolve the issues of plasma flow in the Jovian magnetosphere. Ulysses inbound, in the late morning sector, observed a persistent radial outflow (or sunward flow). The azimuthal component of velocity was generally higher in the plasma current sheet than at higher magnetic latitudes. During the outbound pass, Ulysses entered the previously unexplored dusk region. The inferred azimuthal flow velocity suggests, surprisingly, sunward flows--opposite to planetary rotation. Our analysis finds gradient anisotropies present throughout the Jovian magnetosphere but dominated by convected flows. We suggest that flows of hot plasma are dominated by subcorotation at low latitudes but by sunward flow at high latitudes. L. J. Lanzerotti, D. J. Thomson, C. G. Maclennan, H. Kunow, and B. Heber, Long-Period (5 day) Modes in Interplanetary Particle Fluxes and Relations to Cosmic Ray Modulation, Fall AGU Meeting, December 1997, 1997 Fall Meeting Supplement to EOS, F550, 1997, Abstract SH41B-04. Time series analysis studies of interplanetary particle fluxes obtained in and out of the ecliptic plane show numerous long-period - periods ranging from five days to more than a solar rotation - discrete modes, providing evidence that the interplanetary medium is not a completely chaotic system, and may be driven at these frequencies by solar processes. The frequencies determined to be most significant by sensitive statistical tests do not all correspond to harmonics of the solar rotation that is most evident in the appearance of quasi-26 day variations in co-rotating interaction regions. This paper presents the results of analysis of low energy (E > 50 keV) electron and ion, and high energy (E > 100 MeV) proton, data obtained on the Ulysses spacecraft at high southern solar latitudes from the HISCALE and KET instruments. High energy proton data obtained near Earth on IMP8 as well as ground-based neutron data are examined, and show similar frequencies as at Ulysses. The analyses also show important changes in the amplitude and phase of some of the longer period modes during intervals of change in the amount of modulation of > 100 MeV cosmic rays as measured on Ulysses and IMP8. These near-simultaneous occurrences provide independent evidence of solar phenomena (in addition to, for example, motions of coronal hole boundaries) in the modulation of cosmic rays. E. C. Roelof, R. B. Decker, R. E. Gold, G. M. Simnett, L. J. Lanzerotti, C. G. Maclennan, and T. P. Armstrong, Reappearance of Recurrent Low Energy Particle Events in the Northern Heliosphere: Ulysses, Voyager 1/2, and IMP8, Spring AGU Meeting, May 1997, 1997 Spring Meeting Supplement to EOS, S259, 1997, Abstract SH51B-05. Quasi-recurrent 26-day increases of 40 - 65 keV electrons have measured in the high latitude northern hemisphere of the heliosphere during 11 solar rotations, from October 1995 through July 1996, by the HISCALE energetic particle detectors on Ulysses. They do not appear on all rotations, but when they do, they are associated with increases in 0.5 - 1.0 MeV protons (preceding them by several days) and sometimes with decreases in galactic cosmic rays. The northern recurrences form two series shifted half a solar rotation with respect to each other, unlike the very regular and more intense series of 21 recurrences observed by the same instrument throughout the mid- to high- latitude southern hemisphere from mid-1993 to the beginning of 1995 [Roelof et al., Astron. Astrophys. 316, 481, 1996]. Correlated energetic particles measurements from IMP8 at Earth and Voyager 1/2 at 42 - 62 AU establish that recurrent events during this period were indeed stronger in the southern heliosphere than in the north. The variability of the northern recurrences is attributed, using a generalization of the model of Fisk [J. Geophys. Res. 101, 15547, 1996] to temporal changes during 1966 in the near-sun polar magnetic field configuration. These changes would affect the connection of Ulysses via magnetic field lines to the corotating interaction regions (CIRs) at lower latitudes >10 AU beyond the spacecraft where the low energy particles are accelerated and the galactic cosmic rays are modulated. The observed evolutions of the northern polar coronal structure, as revealed in FeXIV (5303Å) synoptic maps and confirmed by SOHO/EIT FeXII (195Å) extreme ultraviolet images, is indeed that which is required, according to the model, to explain the evolution of the low energy particle recurrences as observed by Ulysses/HISCALE in the northern heliosphere. E. C. Roelof, M. I. Desai, and G. M. Simnett, Jovian Electrons as Probes of Low-Rigidity Propagation in the Heliosphere (invited), Fall AGU Meeting, December 1997, 1997 Fall Meeting Supplement to EOS, F551, 1997, Abstract SH41C-05. The Ulysses HISCALE instrument measured pitch-angle distributions of 40-178 keV electrons of Jovian origin within 0.4 AU pre-encounter (8 events) and 1.5 AU post-encounter (46 AU). These near-relativistic particles have rigidities 0.21-0.46 MV, an order of magnitude smaller than that of a 1 keV pickup He+ ion in the solar wind frame. According to scattering theory (Roelof, 1969), their unidirectional differential intensities j(μ) obey the relationship Tdj/dt+Aj'-j''=0 where j is evaluated at 90 deg pitch angle (μ=0), j' and j" are first and second derivatives with respect to μ, respectively, T is the pitch-angle scattering time at μ=0, and A=vT/2L, v being the particle velocity and L=-dlnB/dx is the parallel scale length of the local magnetic field. In a particular event, we can measure j'(0) and j''(0), but not dj(0)/dt. However, using many events, we have applied a novel approach to obtaining statistical distributions for the two unknowns ε=Tdlnj/dt and A. Usually ε<0 and A>0 (although not always), consistent with the intensities slowly decaying and the local field decreasing (outward). We derive values of order unity for both. For A near unity, the path-length travelled by near-mirroring electrons is about 2L, and the scale for a Parker field at 5 AU is L=25 AU. Even if the local scale is about 1 AU, the scattering is still very weak at 90 deg. We therefore conclude that at 5 AU the "mean-free-path", although an ill-defined concept, is more likely controlled by "meso-scale" (~1 AU) variations in the magnitude of B rather than by small-angle scattering for pitch angles near 90 deg.